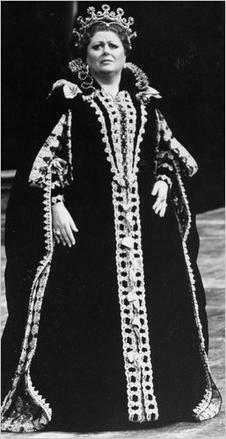 Price as Elisabetta in Verdi's Don Carlo at the Metropolitan Opera in 1989. Margaret Price (13 April 1941 – 28 January 2011) was a Welsh opera singer. She was famous for singing parts from Mozart operas. She sang in the opera Aida. She also sang in other operas. Price was born in Blackwood, Wales. She died from heart failure at age 69. Margaret Price Facts for Kids. Kiddle Encyclopedia.